I feel incredibly privileged to be selected to sculpt my hero, and Manchester’s hero, Emmeline Pankhurst. There was tough competition. The response to my design has been overwhelming; Emmeline as the courageous, determined and dignified activist. In 2019 she will be back on Manchester’s streets, continuing to inspire women to rise up and demand their rights. This statue is long overdue, in this city with a rich history of women’s activism. 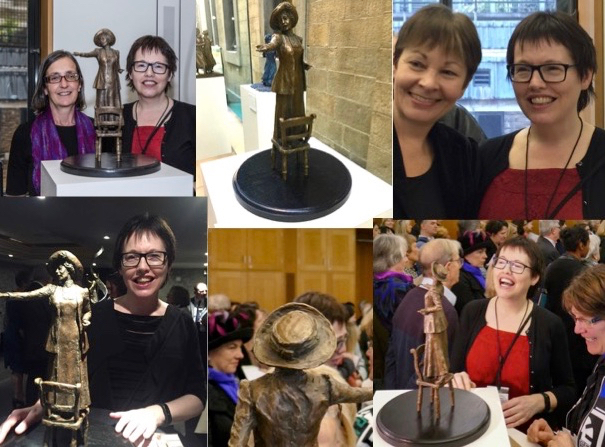 I must thank Andrew Simcock, Helen Pankhurst and the Emmeline Pankhurst Statue Campaign for their vision, which is already inspiring others to make visible the amazing women that have been so important to their own towns and cities. Thank you all for your tremendous support over the past weeks and months. I couldn’t have done it without you! I would also like to acknowledge the other amazing sculptors, whose work I greatly admire – Amelia Rowcroft, Martin Jennings, Nick Roberson, Roxy and Steve Winterburn, and Sean Hedges-Quinn. Thanks to Nigel Kingston,David Kafetz and Emma Finch for the photos. 4 Responses to "Hazel wins Emmeline Pankhurst commission!" This is brilliant news Hazel. 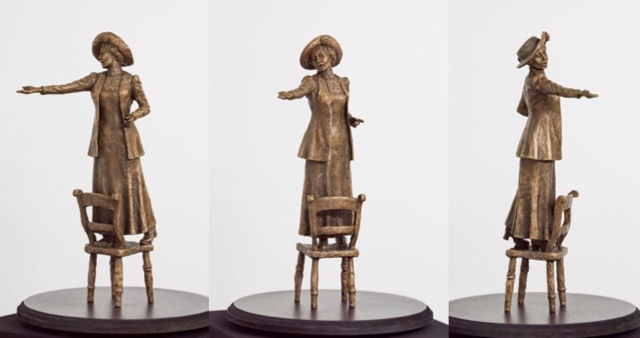 The statue will be superb & hopefully it will be an inspiration for all women to use the vote that Emmeline Pankhurst fought so hard for us to get. Terrific news! I think you really deserve this one. Your Emmiline will be a wonderful addition to Manchester street scene and a dignified memorial to a remarkable woman . Many congratulations.